The REFOCUS Committee met to discuss the next steps of their Monetary Impact Project. 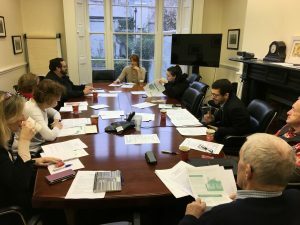 The aim of this project is to help psychiatrists be aware of the financial impact of having a mental illness and how psychiatrists can help them, specifically in relation to three key areas: Disposable income, Employment, and Housing. 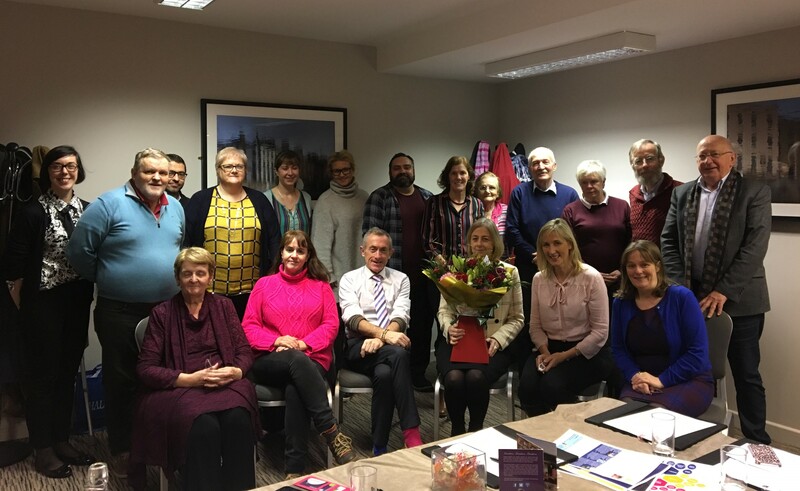 At the December REFOCUS meeting the Committee bid farewell to Dr Anne Jeffers who retired as REFOCUS Co-Chair. Dr Jeffers founded the REFOCUS committee in 2011. The committee wishes to acknowledge her tireless commitment to the group, without which there would have been no REFOCUS. The committee is pleased to welcome Dr Mia McLoughlin as the new Co-Chair. REFOCUS have been working on a paper on Spirituality entitled “Spirituality and its place in Mental Health Practice: Raising Awareness and being Mindful of Bias” and reviewed a video from RCPsych. They agreed this video is a fantastic encapsulation of what they aim to discuss in their paper. Five members of REFOCUS attended the two-day Mind Reading conference in Birmingham University, which was a joint collaboration between the University of Birmingham, UCD Child and Adolescent Psychiatry, the Diseases of Modern Life and Constructing Scientific Communities Projects at St Anne’s College, Oxford. They spoke about their experience of mental illness and caring for someone with a mental illness and the effect literature has had on this part of their lives. This is the second Mind Reading conference REFOCUS has been involved with and REFOCUS hopes to be involved again next year. Laura Louise Condell, REFOCUSer and coordinator of the Dublin Lesbian Line, talks to the College about talk mental illness, mental health, and being part of the LGBT community. You can listen to the interview below or read the full interview here. REFOCUSer Rick Rossiter spoke about ‘A Father’s Confession’ where he shared his lived experience with bipolar and borderline personality disorder and his own suicide attempt which had a profound affect on his father, a fact he subsequently learned 30 years later. Louisa Corr also spoke of her experience as a family member who supports someone with a mental illness. 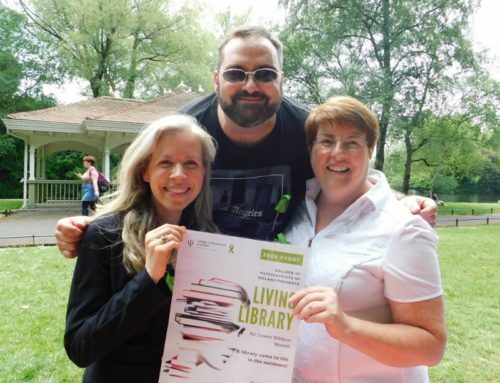 This was part of the ‘Living Library’ in Stephen’s Green as part of Green Ribbon month which aimed to challenge the stigma of speaking about mental health difficulties and to encourage an important mantra ‘Don’t Judge A Book by Its Cover’. The College hosted its first week-long Induction Programme for Foundation Year trainees. The aim of the programme was to provide new Doctors with the skills and knowledge required, at an early stage of their careers, to address their confidence and psychological well-being, and issues of patient safety. Dr Anne Jeffers, consultant psychiatrist, Clinical Lead for the National Clinical Programme for the Assessment and Management of Patients who present to the ED following Self Harm, and joint chair of CPsychI REFOCUS Committee, provided Suicide Response training, which covered safety plans, mitigation strategies, and information on on-call assessment, amongst other areas, both at a national and individual level. REFOCUS member Mr Rick Rossiter also contributed to the workshop alongside Dr Anne Jeffers by sharing his experience of living with mental illness. 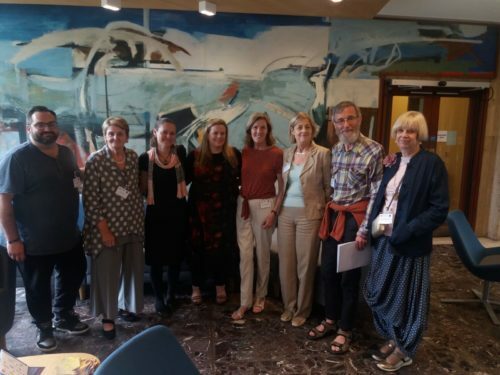 REFOCUS also held a plenary session where Dr Verena Keane was joined by Mr Rick Rossiter and Mrs Julie Healy who described the work of REFOCUS, discussed the value of family involvement and issue of confidentiality and spoke of their lived experiences as service user and family carer. 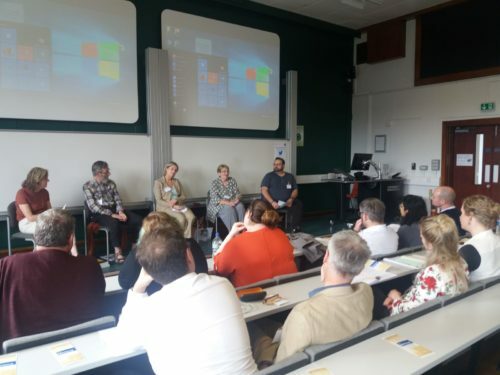 Medical students and Interns from across the country were welcomed by the College to the Psychiatry Summer School for an insight into the varied career opportunities that lie within the many psychiatric specialties and subspecialties – areas of interest which are often not covered in Undergraduate teaching. Students heard from REFOCUS members Laura Louise Condell and Julie Healy on the affect psychiatry has had on their lives as people with experience of using the mental health services and as a family member of someone with experience of the services. REFOCUS members presented at Shine ‘Recovery and the Family’ Conference on May 20th. REFOCUS member Rick Rossiter participates in the annual CPsychI Walk and Talk with psychiatrists in St Stephen’s Green as part of Green Ribbon month, in collaboration with See Change. Over 50 people gathered in the LexIcon Library main auditorium to attend the REFOCUS workshop as part of the Mind Reading – Mental Health and the Written Word Conference on March 10th in Dun Laoghaire. To read more about the workshop by REFOCUS please click here. Four REFOCUS members sit on two discussion panels at the annual joint conference with Shine Click here to read more about the conference. 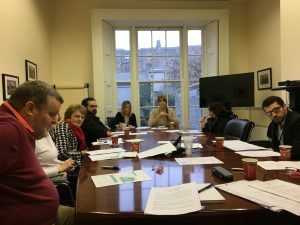 The group welcomed 3 new members to the group and shared their valuable insights into their own lived experiences with the Mental Health Service. The group is currently recruiting new members and invites expressions of interest. The deadline for applications is 14th August 2014. Please find further details here. 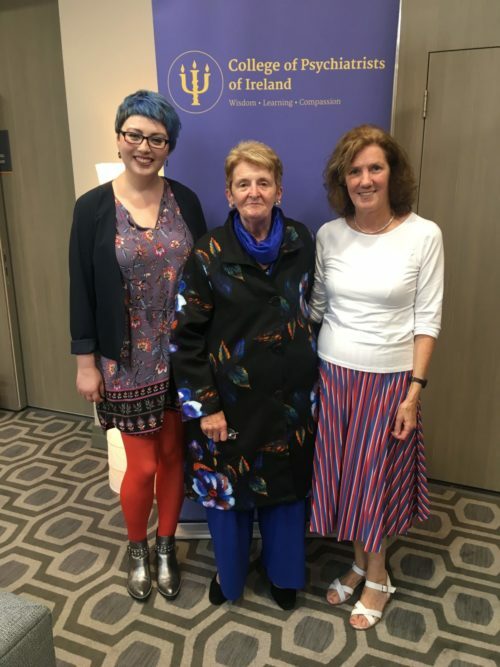 Dr Anne Jeffers, Ms Jeannine Webster and Mr Diarmuid Ring recently spoke at the College’s Annual NCHD Conference. Presenting “On Learning from the Patient”, they spoke with valuable insight on engagement with service users and their families, and on their own experiences of recovery respectively. The group presents their latest paper, “On the One Road to Recovery”, launched at the College’s Winter Meeting, November 2013, by a service user sub group of REFOCUS. In this paper, the group use their experience to help trainee psychiatrists, and to help to all who experience mental illness and to their families. Please click on the link below to read. Prepared by carers’ subgroup of REFOCUS CPsychI with a foreword by Dr Anne Jeffers, Director External Affairs &amp; Policy 2013. This paper was launched at the College’s Spring Conference 2013, in conjunction with a workshop, “Partnership and Sharing Approaches- Who Cares? The Carer Perspective for Psychiatrists“. Please find photos here. Brian McNulty & Anne Jeffers on Ireland AM from College of Psychiatrists.